Karl gained a BA (Hons) in English and Drama in 2002, following which he worked for 2 years as Head of Drama at a theatre company. He then set up Act II Theatre Company in 2004. Karl holds Qualified Teacher Status and a post-graduate diploma in American History. He works in pit bands as a bass guitar player, double bass player, pianist and conductor and is the bass guitarist for function band Zebra. Karl's research interests include 1920's and 30's horror films, blurring the boundaries between film and theatre, and theatre in non-theatrical locations. Charlotte worked for 2 years at the same Theatre Company as Karl, and then studied at Queen Mary's, University of London, where she gained a BA (Hons) in Drama (Applied). She was secretary for Queen Mary Theatre Company, with whom she worked as a director, actor and technical operator and toured to the Edinburgh Fringe. As a child, Charlotte gained the St. Cecelia Singing Award for choral singing. Charlotte's research interests include the relationship between actor and audience, exploring the boundaries of where theatre starts and ends, the role of the curtain call in a performance and theatre in non-theatrical locations. Upon completing her A-Levels, Alice worked with Act II for a year, gaining work experience; she has stayed in close contact with the company since, assisting at holiday workshops, sitting on Music Theatre audition panels and chaperoning on shows. She is returning to work for Act II on completing her degree in film at York St. John University. Alice's research interests include children's animation; the expression of morals through this medium, storytelling and blurring the boundaries between film and theatre. Sue runs Act II's sister company, Backstage Costumes, which also runs from our studio and supply costumes for all of Act II's productions. Sue also heads up our stewarding team, ensuring the safety and well-being of our members during our shows. Sue's research interests include Medieval and Tudor dress. 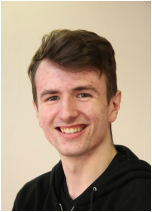 Kieran works for Act II in a variety of capacities (helping with classes, administration, building sets etc.) but mostly works on our productions as a technical manager and sometimes deputy stage manager. Kieran was previously a student at Act II and studied stage management at Central School of Speech and Drama, he now works in stage management in London. Kieran's research interests include the use of multi-media in performance and theatre in non-theatrical locations. ​Peter is our exam pianist. All of our singing students are accompanied by him for their exams. In addition, Peter often plays in our orchestra for our musical productions and concerts. He also accompanies the Choir on occasion. Peter is an retired teacher and church organist / choir master. As a child, he went to Llandaff Cathedral School, and sang at the Queen's Coronation! Barry is our stage manager and has been with Act II since the company was founded. He leads our backstage team, and heads up the inclusion of the Act II parrot (our unofficial mascot) in all of our productions. If you come to see something, see if you can spot it!